Get the most out of Haleakala Crater with a sunrise, downhill cycle, and zipline experience! 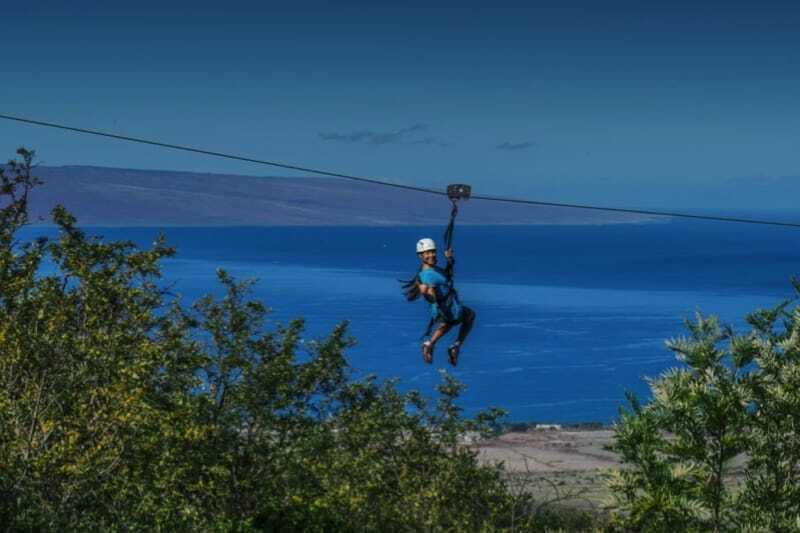 Watch the sunrise from the 10,000 ft summit of Haleakala National Park, then bike down the 21 switchbacks of the world's largest dormant volcano to the beginning of our 5-line Haleakala zipline tour. 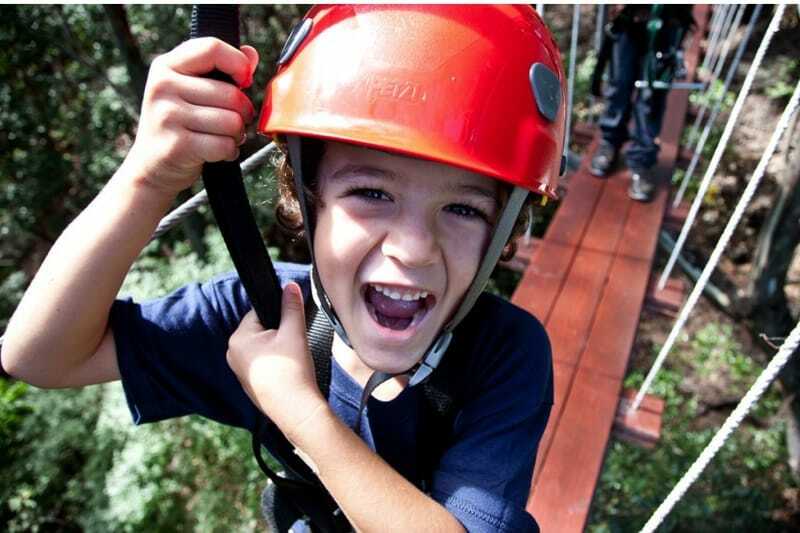 The zipline will take you across an Indiana Jones swinging bridge, over 90-foot drops, and through a forest of fragrant eucalyptus trees. Gently cruise down 21 switchbacks of the world's largest resting volcano on bike. Enjoy a continental breakfast before you start ziplining. 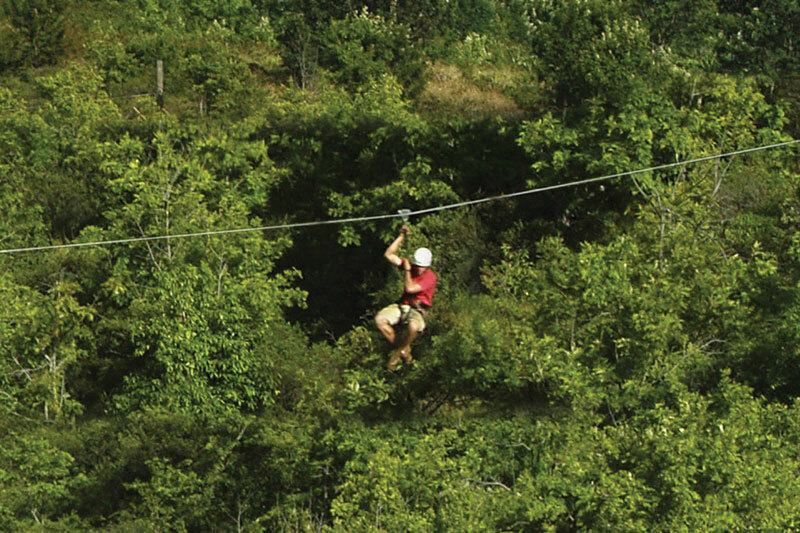 Fly by zipline over 90-foot drops and canyons filled with eucalyptus trees. Includes round-trip transportation from your hotel. 2 am - We'll pick you up at your hotel or accommodation. Hot beverages and snacks included. 6 am - Experience a Maui sunrise at the summit of Haleakala National Park. 6:30 am - Drive down to the 6500 ft level to begin your bike tour. 7 am - Bike down the 21 switchbacks that lead you to the zipline base camp. 10:30 am - Begin your zipline adventure. 12:30 pm - We'll transfer you back to your hotel or accommodation. Tour is available on Sunday, Monday, Tuesday, and Wednesday only. Line 1: After a short hike through a forest of eucalyptus trees, you'll arrive at the first zipline. Your expert guides will help you clip in, and then off you go sailing over a massive ravine more than 50 feet below you're dangling feet. Ten seconds later, you'll gracefully land on the platform more than 150 feet from your starting point. The lines get faster, and longer from this point forward! Line 2: This line is known for its 70-foot cliff-like drop-off. Our wooden platform is securely fastened to the edge of the cliff where you'll step off into thin air. This line carries you over a deep ravine where you might spot some endangered Ama'u ferns. Line 3: This line is known for its plank-like launching platform that dangles over a huge valley. If it isn't too wet, your guide may let you take a running start for this line to pick up some real speed. After a brief free-fall, the line catches you and zips you across a valley filled with bright orange lichen, rich green ferns, and lush grass. Line 4: This line is over a football field long, and sends you directly through the valley you zipped over on line 3. Valley walls will tower above you on either side as you fly just above the valley floor. Swinging Bridge: Since we couldn't build a zip-line uphill, we found another way to get back to the other side of Pahakuokala Gulch - an Indiana Jones-style swinging bridge! Swinging 80 feet above the valley floor, this bouncy bridge will give you a chance to really get a good look at the beautiful nature around you. Below the bridge is an area where our staff and many volunteers have planted thousands of trees and native plants. You'll notice the native wildlife returning to the area. Line 5: As you approach the beginning of the line, you'll notice stunning views of Maui's North Shore framed by Haleakala's subtropical rainforest; this line is one of our favorites. We named the line after Hawaii's fastest bird - the Io, for a reason. You'll accelerate from 0 - 45+ mph in just a few seconds on this pendulum style zip-line. This line will give you a story to tell, and an experience to remember! Exact pickup time will be given with confirmation. Customers MUST be 12 years or older, all customers under 18 must have a legal guardian sign for them. Customers MUST weigh between 80 & 250 lbs. This Policy is STRICTLY ENFORCED, for your own safety. Customers will be weighed on site if there are questions and WILL NOT be provided a refund if they are outside the limits. Locate Hwy 378 and follow signs up to Haleakala National Park and look for the Zipline location after passing Mile Marker 2. Please check in at the red pavilion on Crater Road on the way to Haleakala National Park.